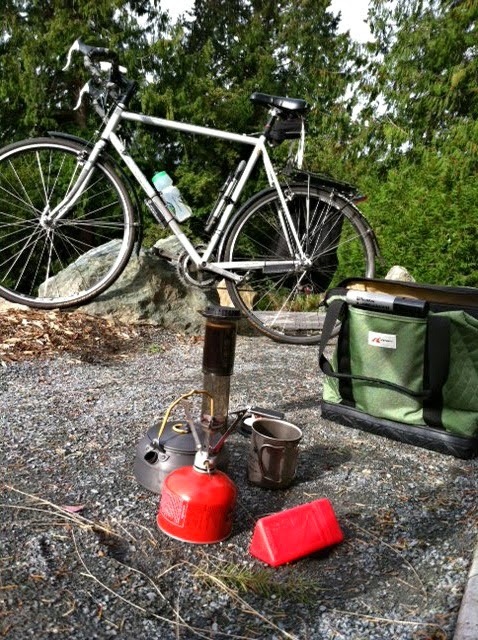 This morning, I helped kids at a local elementary school learn how to ride their bike safely and this afternoon, I rode out to another Seattle park for some coffee – making and scenery enjoying. 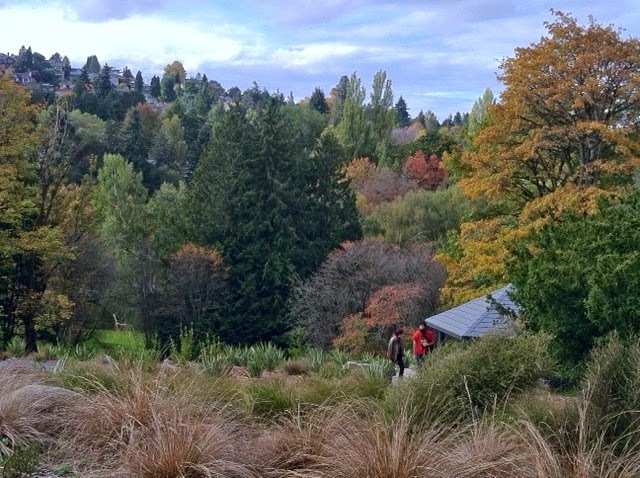 While I was riding up the Arboretum's park drive, first I saw a patrol car and then a Seattle Parks maintenance vehicle coming the opposite way. 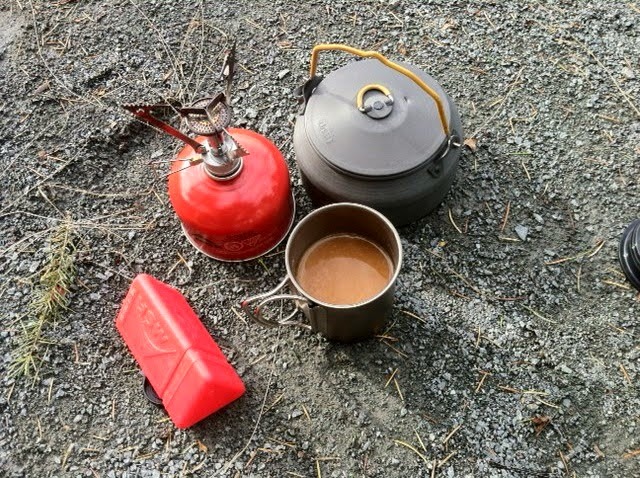 It was then that I first had the thought that perhaps what I was about to do (brew coffee with a campstove) might be either illegal or frowned upon by officials. A sidebar might be titled, "Why is this park different from other Seattle Parks?" Well, the University of Washington owns the land here and it is maintained by Seattle Parks. So good thing they had just passed me going the other way, their patrol had apparently ended while my mischief was about to begin (am I a bad person if I admit that this thought gave me a rush of excitement?). 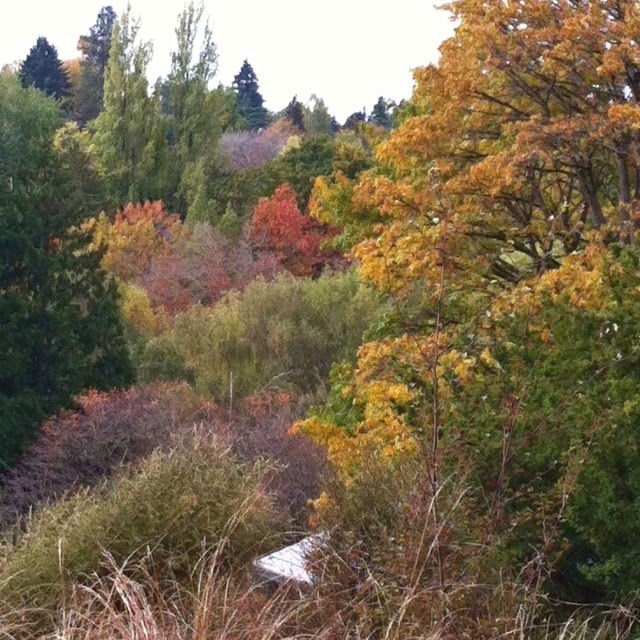 I decided on a spot that was just off the drive, overlooking a gazebo with some really nice fall color surrounding it. 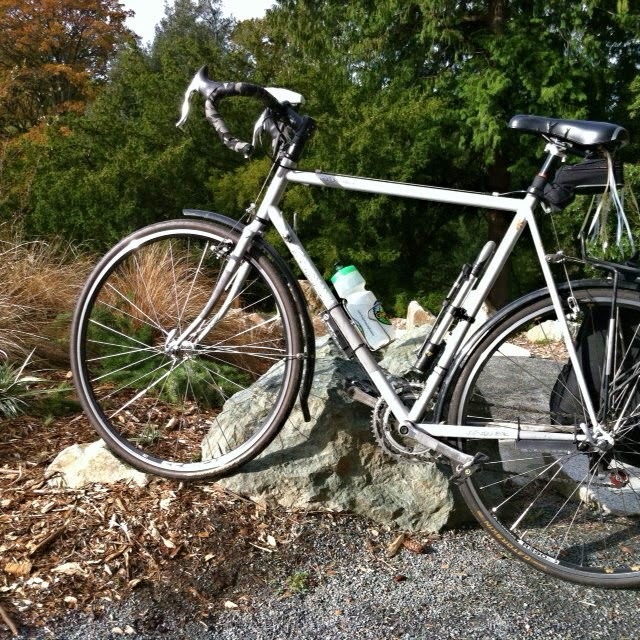 For me, there was a park bench and for my bike, a duo of rocks that held my bike up as if that's what the intended purpose was, like nature's bike stand. My water boiled very quickly since this time it was water for only the coffee and I pressed the coffee soon after, adding the pre-steamed coconut milk. After putting away some of the possibly incriminating evidence, I sat with my hot cup of coffee and enjoyed my surroundings before heading off toward home.